KENDALL JENNER, Cover Girl of CHINA VOGUE MAGAZINE ISSUE JUNE 2015 with Kris Wu. Kendall Jenner the brunette beauty appears sultry and chic while wearing an eclectic long-sleeved sequined mini dress. Her straight tresses are parted in the middle and flowing straight down past her perfectly pampered face. 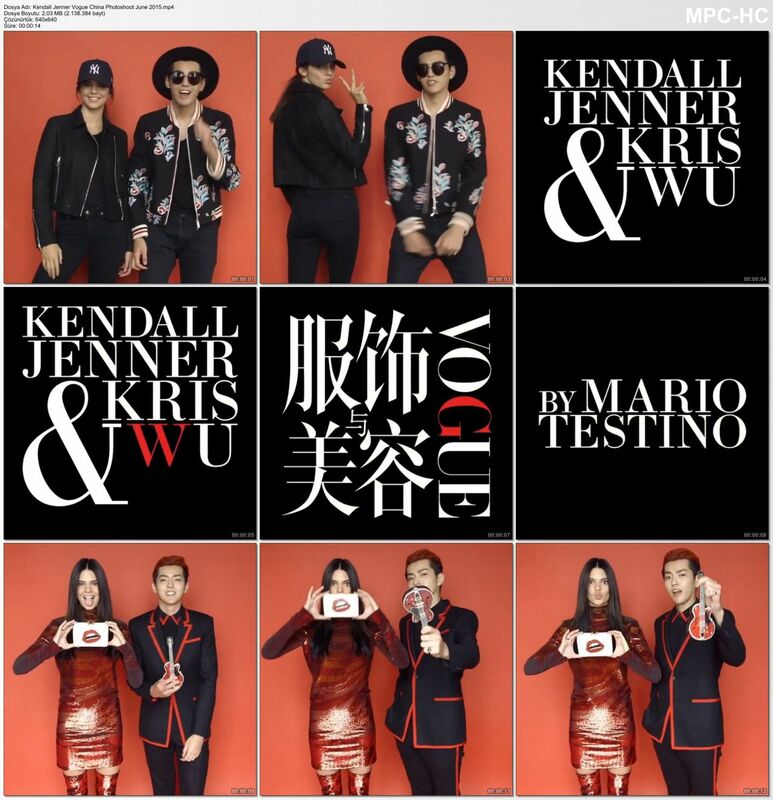 Kendall has one hand on her hip, as the other is subtly placed on the shoulder of Chinese actor and singer-songwriter, Kris Wu is clad in a funky black suit detailed with red piping and holding onto an teenie tiny red guitar.